Children's mental health services are in a state of emergency and must be prioritised, a leading doctor has said. 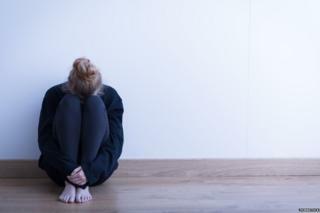 The government has vowed to invest £1.4bn to transform young people's mental health services. But Dr Richard Vautrey, a Leeds GP and deputy chair of the British Medical Association (BMA), said the government needs to "turn rhetoric into reality". Figures show one in 50 children under 18 are in contact with specialist mental health services in England. Dr Vautrey said: "This is an emergency. We've talked about it for too long, we haven't done enough to resolve the situation and the longer we leave it, the worse the problem gets." NHS Digital started collecting figures about under-19s in contact with mental health services in January, and in June the number stood at 235,189. The data also shows wide geographical variations in how long young people wait for treatment. The BBC found that in 40% of areas that had provided data the average wait to begin treatment was longer than a month. One of the big problems when looking at the issue of children and young people's mental health care is the fact the data is still limited. NHS Digital only began collecting specific information about children and young people accessing services in January. Only 65% of mental health care providers have so far provided good quality data. Making decisions about the strategic provision of mental health care is made even harder when you don't have the complete picture. The Oxford Health NHS Foundation Trust had the longest average waiting time in the country with the typical patient having waited 18 weeks to begin treatment. Oxford Health has disputed NHS Digital's figures and say that the median waiting time for their patients in June was 34 days. NHS Digital say mental healthcare providers have sole responsibility for ensuring the data they submit to them is accurate. Patients in Bradford had to wait nearly two months to begin treatment, which Catherine Wright from the local trust said reflects the growing demand for services. "Our local target is to see all patients within 11 weeks and we are seeing 100% of all urgent cases within a week. But because we have seen a large increase in referrals, this is having an impact on waiting times". NHS England guidelines stipulate that 50% of children and young people with a diagnosis of psychosis should begin treatment within two weeks of referral. Under-19s with an eating disorder should begin receiving care within four weeks of referral or one week for urgent cases. In February, the government announced that it would invest £1.4bn to transform young people's mental health services. Alistair Burt, minister for mental health, said "we are investing more than ever before in mental health and will make sure the NHS delivers on this plan".